LBSCR D2 by Colin Binnie. This is not a locomotive portrait of just any old engine but one of Mr William Stroudley's masterpieces. The D2 class, as these mixed traffic engines were called, were surely one of the most handsome classes ever built by Stroudley. If you don't believe me, have a second look at the heading photograph. Is it any wonder that Dr Bradbury Winter should have so fallen in love with Como that he spent a fair portion of his life building a model in almost immaculate detail? Our Story begins — as all the best locomotive stories do at the Brighton works of the London, Brighton and South Coast Railway. The Stroudley 0-4-2 tanks of the D class Bulldogs as they were nick named were proving a real Success. Powerful, speedy and handsome, they were able to handle the slower passenger work and trundle the occasional goods train around the system. They could do their turn on the passenger expresses if pushed, but expresses are not usually the happy hunting ground of modest tank engines. If the D class had a weakness it was lack of range; While they burned very little coal they didn't carry all that much of it either. The obvious solution was a tender version of the Bulldog for the longer runs. Thus was the D2 conceived, but our story is not that simple. 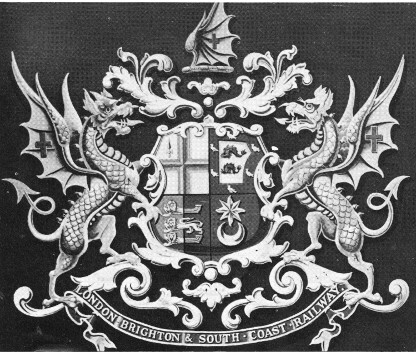 The Brighton drawing office must have got the job of sorting out the details sometime during the latter end of 1874 or early 1875. At the same time the office was sorting out the details of Abergavenny, the second of Stroudley's single-wheelers. It is not surprising, therefore that Abergavenny and the D2 class should share the same design of boiler. In fact they shared many other details as well. It is hard to tell the two apart when the section from the firebox to the drag beam is compared. The D2 was a mixture of a D tank front end (cylinders and motion) and the larger boiler as used on Abergavenny. The distance between the rear driving wheel and the trailing wheel was increased from 7 ft 5 ins to 7 ft 11 ins to accommodate the larger firebox. The whole assembly was finished off with the standard cab of the period. The first engine built was No. 300, Lyons which, together with No. 301, Caen, was ordered in February 1876. Lyons was completed in September 1876 and Caen in the following March. These engines were equipped with the standard Stroudley high sided, outside frame tender when new, but these were replaced by old Craven tenders in 1887. 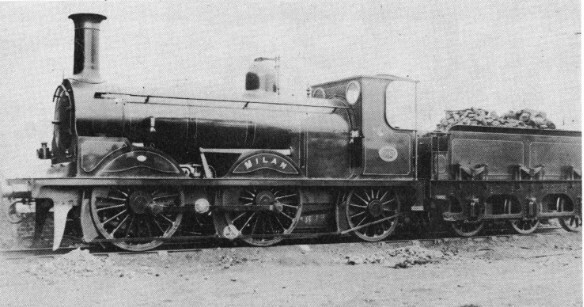 The outside frame tenders were given to the new class C1 goods Nos. 429 and 430. Six more D2s were built when Lyons and Caen proved to be successful. These appeared as No. 302 Turin, No. 303 Milan, No. 304 Nice and No. 305 Genoa, going into service in December 1877. The other two were No. 306 Naples and No. 307 Venice which appeared in March, 1878. The six engines started life with old Craven tenders but some of these were replaced by standard Stroudley outside frame tenders when the original C goods class was scrapped. There will be more to say about tenders later. When new, the engines relied upon a hand brake on the tender and a steam brake on the engine. This was powerful but erratic. All eight engines were fitted with the Westinghouse Air Brake when the Directors of the LBSCR accepted Stroudley's recommendation that all stock should be so fitted (this followed the Newark brake trials of 1875). These eight D2s received the air brake between 1879 and 1883. Six more engines were built in 1883, these being No. 308 Como, No. 309 Splugen, No. 310 Laval, No. 311 Rhone, No. 312 Albion and No. 313 Paris. These later engines form an interesting contrast with the first batch. Much had happened in the previous five years and this was reflected in the appearance of the new locomotives. For a start, the Westinghouse Air Brake had arrived and with it Stroudley’s Clasp Brake. This very effective design utilised an air cylinder mounted on the end of one brake hanger on each wheel. To the piston were connected brake rods passing both sides of the wheel to the other brake hanger. Admission of pressure air to the cylinder clamped the wheel between the brake shoes, providing a very powerful brake with no side load on the wheel bearings. The brake shoes were of cast iron and the locomotive main frames of steel. The pumps were of the later multiple valve type and no longer projected above the footplate. The boiler clack valves were moved back and downward until they were almost hidden behind the driving wheelsplasher. This was Dr Winter’s error, incidentally; the clacks on his model of Como - the first engine of the second batch are on the first ring of the boiler as on engines of the first batch. The later engines were equipped with power assisted reversing gear, again using air from the Westinghouse system. An obvious difference was the reversing rod which ran outside the boiler clothing all the way, where previously it had run inside the firebox clothing, reappearing at the front of the firebox only. 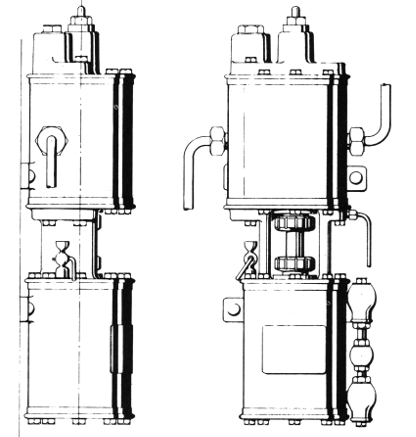 The reversing rod ran much higher along the side of the boiler due to an increase in the dimensions of the top arm of the bell crank from 1 ft-6 ins to 2 ft 2 ins. There was also a less obvious change from volute to coil springing on the centre axle of the engine. The leading and trailing leaf springs remained unaltered. An interesting observation at this point is that all Stroudley's six wheel vehicles locomotive, tender, coach and wagon had a set of centre springs which were more flexible than the outer sets. Not more lightly loaded, just more flexible. The object was to ensure that when passing over rough track the vehicle would tend to ride on its leading and trailing wheels, rather than pitching to and fro about the centre wheels. This was achieved by providing coil or volute springs as on our engine and on the inside frame tender, or making the centre set of leaf springs longer than the outer pair as on our outside frame tender. Even a Stroudley coach used 7 ft springs in the centre and 6 ft springs at the ends. 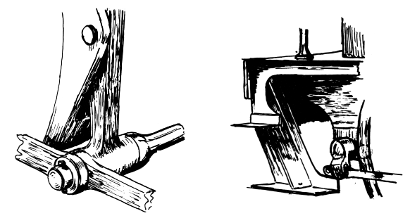 Remaining differences of note between the two batches of D2s are the different shape of the framing and modified position of the guard irons at the front, a change of footplate width from 7 ft 2 ins to 7 ft 6 ins, a modification to the rear steps on the engine and an increase in the buffer height of 1-1/4 ins. That change in buffer height is obvious too! The old arrangement of the buffers entailed them being out of centre on the buffer beam and necessitated the provision of small, curved projections on the bottom edge of the beam to match the socket of the buffer. The later batch of engines were provided with inside frame tenders from the start; this being the in thing for anything but goods engines by 1883. They seemed to have retained these for all their working lives, though Splugen, at least, went to the scrap lines with an old Craven tender. It might be as well at this stage to discuss the tenders fitted to the first batch of engines more fully. During their lives the first eight engines had just about every variety of Stroudley tender in addition to the Craven varieties. The table printed with this text should help clarify the tender situation. Stroudley’s outside frame tenders appear to fall into three main groups. Let us call them the short, medium and high copings. The short version first appeared on C goods Nos. 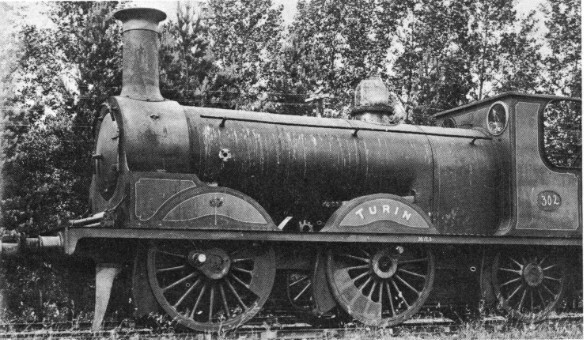 83 and 84 in 1871 and had a very low profile, the coping being 3 ft 4-1/2 ins above the footplate. The two tenders fitted to these engines had a very tall steam dome standing proudly erect in the middle of the tender with a flat topped filler tank behind it. The spring hangers were of a different pattern and there were other minor differences in the framing between these early tenders and later types. The second type of tender had a coping a few inches higher, just below the top of which ran in the front hand rail. There were the differences in spring hangers, frames and front lower footstep already noted; these tenders were fitted, cf. F. Burtt, to the rest of the C goods and, in due course, came to the D2 class. The third type with the high coping had the hand rail level with the bottom of the flair. These were fitted when new to Abergavenny, Class D3, Belgravia, Goodwood and our own D2s Lyons and Caen. Grosvenor had a very similar tender. Most of these tenders ended up with the later Stroudley C1 class goods. 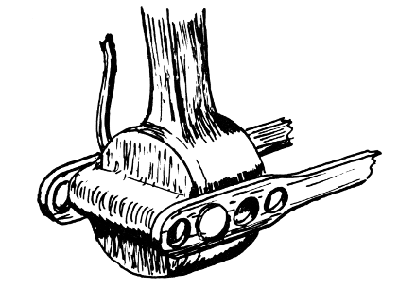 (1) Wide step, rear stay. (2) Narrow step, frontal rib. So what? Where is all this leading cries the patient reader. Well, the point is this: all the other Stroudley tender engines on the line had either Craven or Stroudley inside frame tenders. 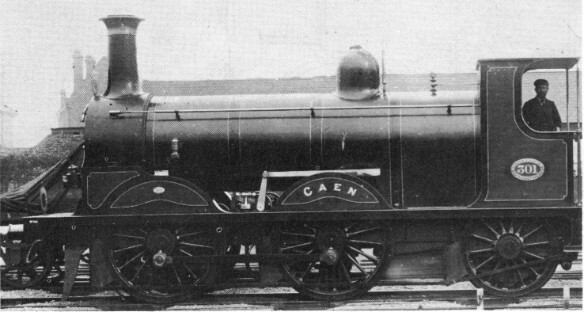 Our photograph of Lyons shows her with a low profile tender, similar in all respects, except the height of the exhaust steam dome, to the ones fitted to the C goods in 1871. I think it must be one of these two tenders and, if so, this is the only photograph of Stroudley's first tender design for the Brighton I have ever seen. The steam dome could well have been replaced by one from the second, medium coping tenders. This is all very well, of course, but does set another problem. What happened to the other one? Enough of tenders- let's get back to engines! The D2s were very successful, although there were some complaints of rough riding when due for repair. They soon dominated the Worthing fruit traffic and the Grande Vitesse workings. Semi-fast passenger, pick-up goods-it was all alike to the D2s. They survived without modification until the early years of this century. Scrapping took place between 1902 and 1907. That was not quite the end of the D2s' record of service since the wheels and motion of Nos. 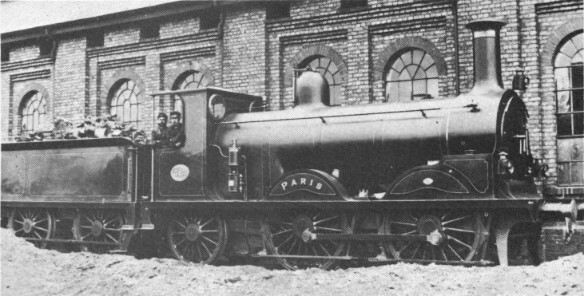 309 Splugen, 310 Laval, 311 Rhone, 312 Albion and 313 Paris were incorporated into new engines of D. E. Marshe’s L1 class Nos 9, 5, 8, 10 and 7, respectively. Two oddments to finish off. Both Splugen and Laval had their names misspelt when they first went into traffic. They boasted the names of Slugen and Lavel when new. It was unfair to expect the poor signwriter to get such outlandish foreign names right, anyway. The last point to be noted is with regard to the outside frame tenders.There are two different styles of front step! One is set back and has a stiffening strip running down the front, the other is set forward and has a stay from behind.